FYI, not available at your local farmer’s market. If you live in the Gulf South, however, it is available at your local Rouse’s grocery store. So, why is it a Farmer’s Market Find? Because it is a true Louisiana original. Because it was bred, and grown in South Louisiana. Actually, it was discovered in 1998 in an endeavor to find a disease resistant rice. According to the company’s website, when the researcher retired in 2010, Lousiana State University released the rights to the retired breeder, who promptly set about planting the seed. Planted in 2011 near Lafayette, Louisiana, by the third planting in 2012, the harvest was distributed in 3-lb pound bags throughout the Gulf South by way of Rouses Grocery Stores. Cooks up nice, but could stand to be rinsed, even if you do lose some of the health benefits of the blueness. 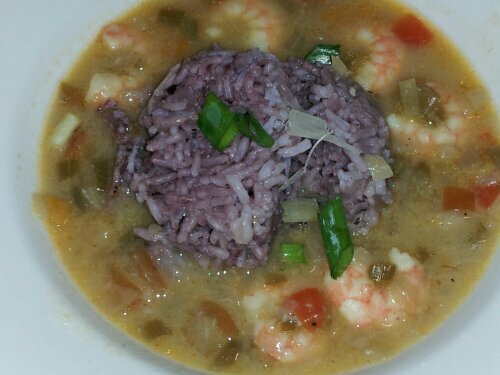 Served up with some Louisiana wild caught Shrimp Etouffee. And, here, used in a delicious salmon and rice salad, a great way to reinvent leftovers. I bought rice on line. I cooked as directed and it didnot seem to be done. I added water twice and it never did feel soft. Is it susposed to be crunchy? 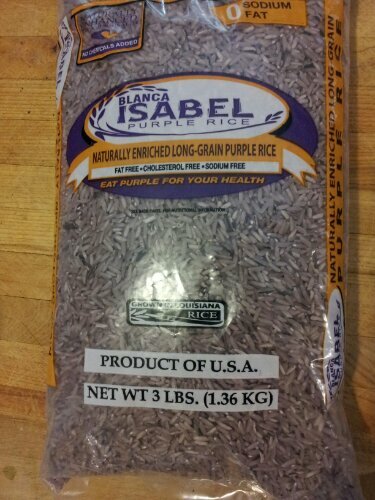 I just bought the 3-lb bag of Blanca Isabel Purple Rice yesterday at Fresh Pickins on Coursey Blvd in Baton Rouge, LA. 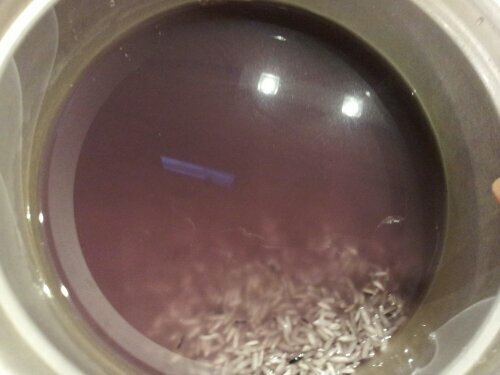 I am anxious to try this rice soon. 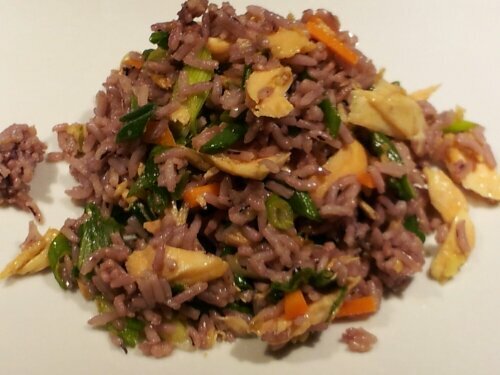 I am doing Haylie Pomroy’s, The Fast Metabolism Diet, and purple rice is allowed on Phase 3 of this food plan (Fridays, Saturdays and Sundays). I look forward to using this rice with my coconut based crawfish dish I came up with! Also, I am excited to see that this is a local Louisiana product! Thank you!